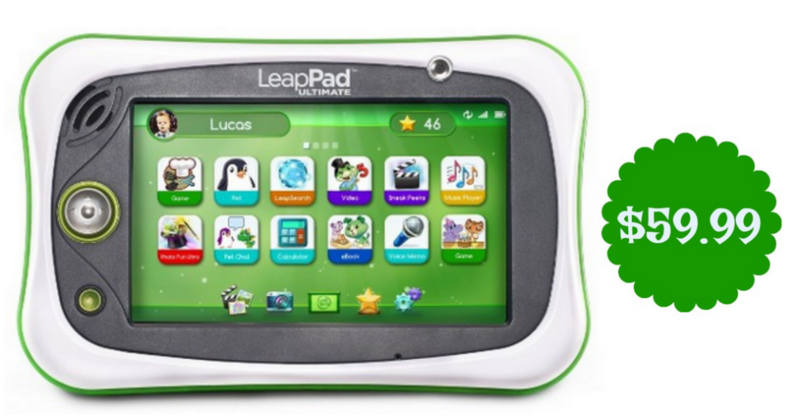 Target is offering the LeapFrog LeapPad Ultimate Kids Learning Tablet for $79.99, regularly $99.99. This tablet has a kid-safe web browser and includes $110 worth of games, apps and videos so kids can learn and play right away. Even better, Target is offering 25% off one Toy, Sporting Goods or Kids Arts & Crafts item when you text TOY to 827438 to get the coupon delivered to your mobile device. Mobile coupon valid through 11/11. Limit (1) use only. Valid in-store and online.